Is Bankruptcy the End For Kodak? Today is a very sad day in Rochester, NY. Kodak announced its plans to file Chapter 11 bankruptcy. Outsiders may not understand why this is such a sad day for Rochester. After all, so many companies have declared bankruptcy, restructured and gone on to live and prosper another day. But to Rochestarians, Kodak was the last bastion of the companies where you had a job for life if you wanted it. Kodak promoted the idea that “the company will always take care of you.” Your job may be boring as hell, you may do the same job for 30 years, but you had health insurance and a paycheck and retirement you could rely on. The company has shepherded generations of families through previous recessions and prospered for a long time. I know that from first-hand experience. My dad and uncle were engineers there, and my brother and I worked there as well. So what happened? Some have blamed Rochester as an area which has failed to keep pace with technological innovations and has not fostered a business atmosphere conducive to growth. Not true. RocCity has not been a one-company city for a very long time. We are one of the top 10 cities in the country not just on the verge of recovering from the recession, but poised for explosive growth in the next few years. We have plenty of new and not-so-new small and medium-sized technology businesses. Here’s the thing: If you fail to protect your intellectual property rights or to continue to innovate in today’s climate, your business is going to take a huge hit, maybe even go under. Kodak was a giant. They were the foremost makers of film for commercial and home use. Hollywood built its film industry using Kodak film. Kodak was king for such a long time, they failed to notice all those other businesses infringing on their patents. People sneer at Apple when they seem like they are suing another company a minute. But if you do not protect your intellectual property rights, there are other companies who will infringe on them and make a profit. Kodak is now suing companies like crazy, but it’s kind of like a gazelle flailing out at wolves as they take it down. Even as late as the 1980s, Kodak was still resting on its laurels. Sure, they made a half-hearted attempt to hold onto the camera market by manufacturing the Disc camera. Problem was that the company took shortcuts, and the camera was crap. As a student intern at Kodak, I saw the Disc camera electronic boards coming off the assembly line with the circuitry already broken, and fixing them by hand hardly solved the problem. 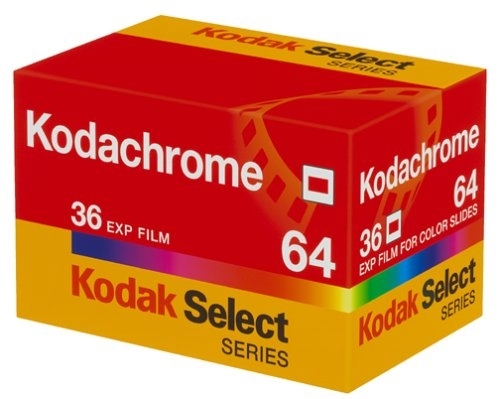 Bankruptcy may allow Kodak to pull through as a smaller, more healthy company, but it is going to have to push to become a frontrunner in digital imaging technology and continue to innovate, to provide for business and consumer needs. There can be no more resting on its reputation because that reputation is now in tatters. The company needs to build a new, stronger reputation. Can Kodak do this? Yes, there’s always the possibility that the company will pull through. If it does, the rest of the country and the world will get a new, first-hand look at what American ingenuity can do. Bring it on, Kodak. You’re not finished yet. If you are a supervisor, I bet there are days when you wish you could have found an employee with a certain skill, one that wasn’t listed in the job description because it was overlooked or deemed too specific. If you are a job seeker, finding out what these unpublished job criteria are can make you stand out from the masses applying for the same job. So, how do you find out these “extra” desired job qualifications? Simple. You ask. Asking about desired job qualifications should be included in every bit of networking you do. Chances are, you will start a very interesting conversation with alums, friends, family, field experts, previous employees, anyone you can think of with whom to network. Include these job qualifications on your resume, even if they are not part of the job description. This makes your resume stronger and may attract the interest of the hiring manager. However, make sure you also throw in terms on your resume that the job description uses to get your resume past electronic resume scanners that sort incoming resumes for consideration. If you are lucky enough to land an interview with the supervisor who oversees the position directly, ask that person as well. But don’t stop there. Make a case for yourself by mentioning that you have those qualifications (if you really do) and illustrating how you have used those unpublished qualifications to benefit previous employers. If you do not have the skills mentioned, express your desire to learn those skills and throw out ideas on how you can obtain them for the benefit of this company. This shows initiative and flexibility, both highly desired traits in today’s job market. If you continued your job search through the holidays, but didn’t come up with any solid job leads, don’t be discouraged. While some employers have to rush to get positions filled by the end of the calendar year, others have until the end of the fiscal year, usually in June, to fill positions before they lose the funding for those positions. A few people headed back to work today after the holidays, and many more will be back tomorrow. Employers will sometimes rush to get their positions posted right after the holidays before they get bogged down in meetings, projects and spreadsheets. So, if you are still looking for a job, this next week is prime searching time. Check out job aggregators, or websites that collect job postings, such as Indeed.com, Simply Hired and even Craigslist in your desired geographical area for new job postings. Do not forget company and organizational websites. If you’ve been searching thoroughly, you have probably been on all of these sites countless times; however, this next week may see some very busy activity as new jobs are listed. Try to look at these sites as if it is the first time you’ve checked them. You may be surprised and find a few new leads!